PUBG season 4 has officially started: Global access is now available even to players of the mobile version. 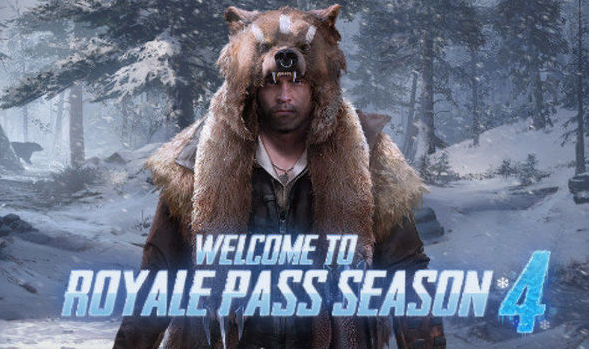 Season 4 is inclusive of a Royal Pass with in-game bonuses. Note that your previous rankings in the previous season will not be honored, and everyone will start fresh. Season 4 will include a Royal Pass which consists of added firearm finishes, new outfits, character faces, and hairstyles. Also added 600 UC to Elite Pass rewards for players to purchase next season’s Pass. Tencent also fine-tuned the redemption feature so Elite Pass holders can purchase discounted items with BP or RP points and added Mission Cards for players to complete harder missions. There’s also a Black Friday event where discounted backs are even cheaper for 3 days. PUBG also upgraded the system where the odds of getting certain crate items are increased dramatically for a limited amount of time. Do you play PUBG? What are your thoughts on the updates? PUBG is available on both PC via Steam or your smartphone through Google Play or iOS.